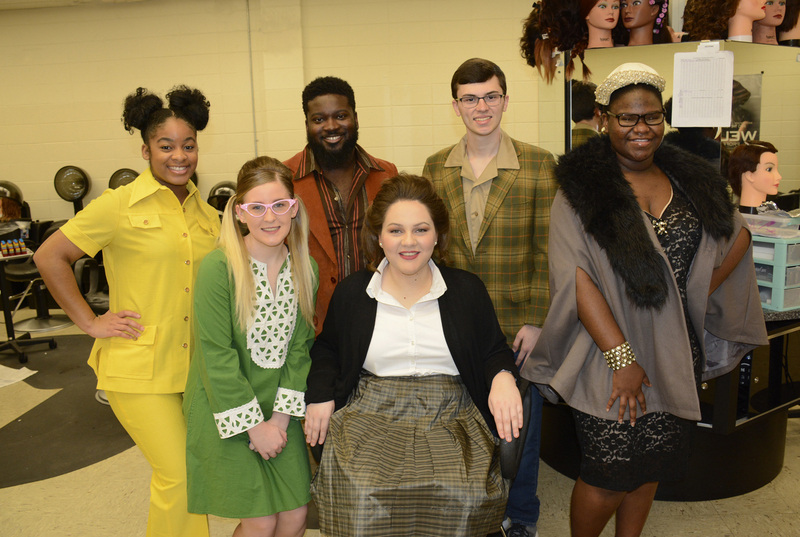 ELLISVILLE- Jones College’s theater production of “Hairspray” is taking audiences back to the ’60s when the beehive and the flipped-bob hairdo’s were popular and social problems erupted. 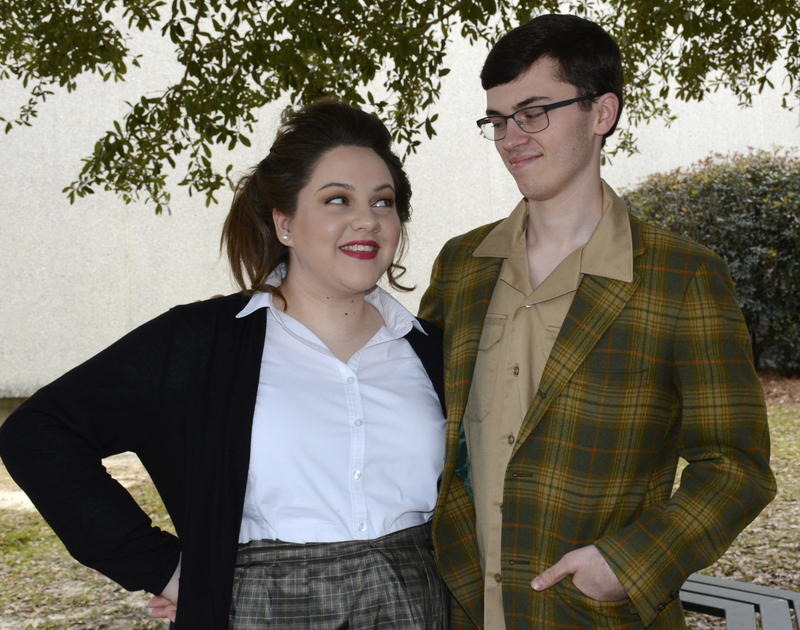 Star-struck teenybopper, Traci Turnblad, played by Kassidy Chandler of Laurel, takes the audience on an adventure to see her dream of dancing on a TV show and dating the popular heartthrob, Link Larkin, played by James Bilbo of Ellisville, come to life. Along the way, Traci is exposed to a world with racial tensions and change on the horizon. While poking fun at the stereotypes of the era, JC’s production of “Hairspray” with its catchy tunes and clever lyrics features a talented cast of more than 35 students, a live orchestra and a couple of seasoned pros. “Hairspray” is produced and directed by JC theater instructor, Jennifer Bruton, and she is assisted by musical performer, Bruce Smith. “We chose “Hairspray” because we wanted something familiar, fresh and really fun! This is a high-energy show with a big and very diverse cast. The students made our casting decisions very difficult since over 60 of them auditioned! 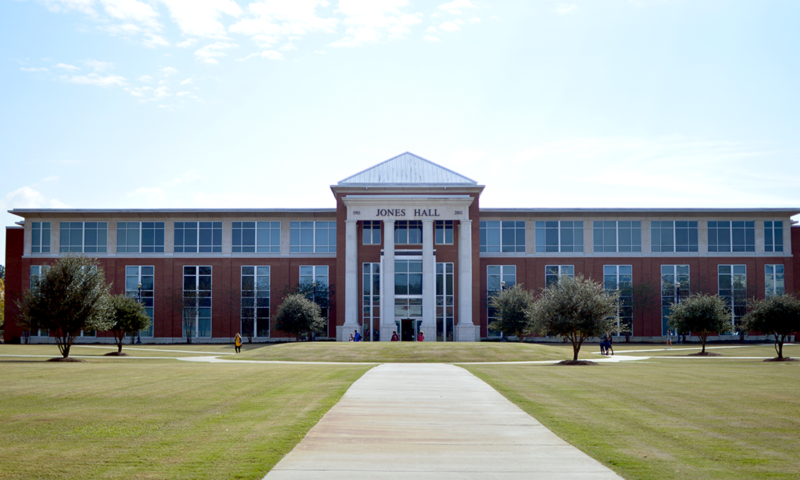 The administration has been incredibly encouraging and we’re receiving additional support from across the campus, from set construction to styling wigs!” said Bruton. This year, an additional performance includes opening night on Thursday, February 28, at 7 p.m. The cast will perform two shows on Saturday, March 2, at 2:30 and at 7 p.m. 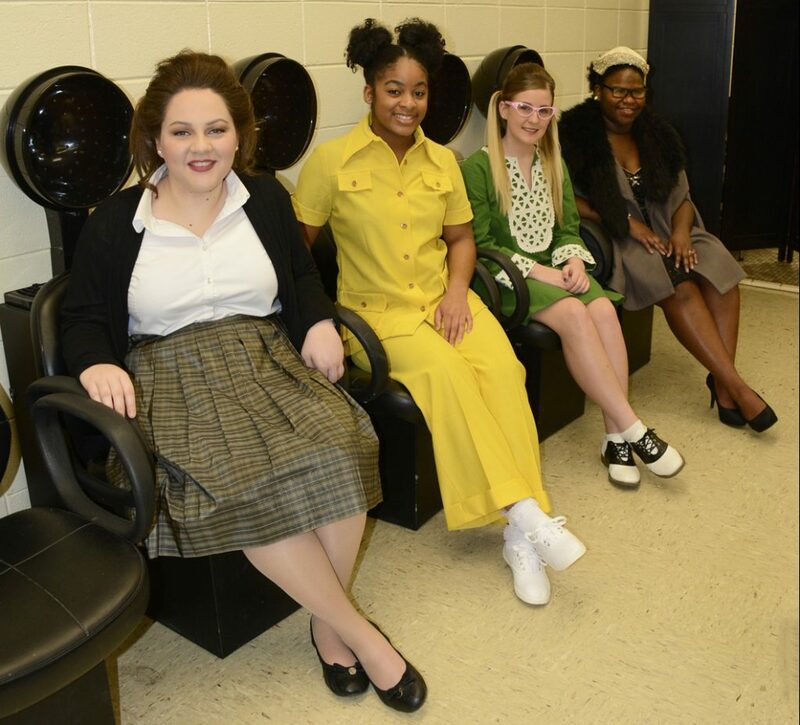 The final performance of “Hairspray” will be Sunday, March 3, at 2:30 p.m. in the M. P. Bush Fine Arts Auditorium on the JC campus in Ellisville. Tickets are $5 for children 17 and under and $10 for adults with free admission for JC students and faculty with a valid ID. Tickets can be purchased at the door. The movie version was rated PG, however parents should use their discretion for children younger than middle school. For more information, please contact Jennifer Bruton at 601-477-2675 or email her at, jennifer.bruton@jcjc.edu. The Broadway musical “Hairspray” is based on the John Waters movie and is a winner of eight Tony awards. Set in Baltimore in the early 1960s, “Hairspray” challenges the audience to see all the characters as equals regardless of race, size, or gender. While at the WZZT-TV studios, host Corny Collins played by the seasoned performer, Bruce Smith of Ellisville and Motormouth Maybelle, played by JC student, Denise McAddo of Bay Springs, spin the tunes that all the hippest kids are dancing to. Also, joining the student cast is former JC Theater and USM graduate, Harlan Mapp of Hattiesburg as Traci’s mother, Edna Turnblad. 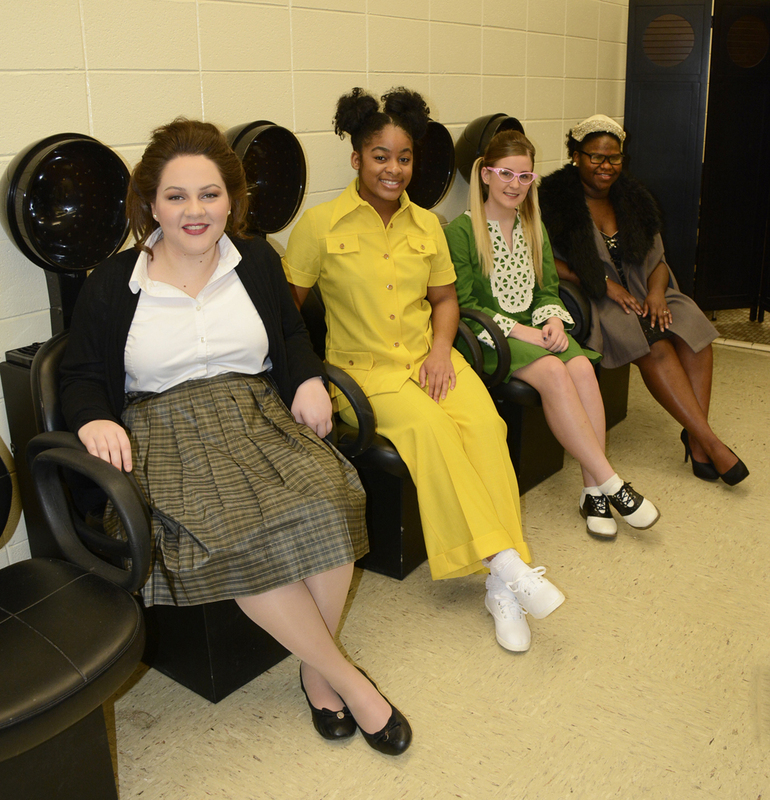 Tracy Turnblad is played by Laurel’s Kassidy Chandler, who is debuting on the Jones stage, however, she is a familiar face to audiences attending productions at West Jones High School and the Laurel Little Theatre. The musical, “Hairspray” drew her back to performing Chandler explained. “This is one of my favorite musicals of all time because it is a really fun show with a great message. After taking some time off from performing, I began to really miss it. When I found out the musical was going to be ‘Hairspray’ I knew this was the show I wanted to get back into performing in musical theater,” Chandler said. Also new to the Jones stage is Columbia’s, Lane Smith. The freshman has performed in several musicals at Columbia High School and couldn’t pass up the chance to play Tracy’s dad, Wilbur Turnblad. “I haven’t had many challenges figuring out Wilber Turnblad. He is a very loving father and husband to Tracy and Edna and wants nothing more than to provide for his family. I am so honored to get to portray this loyal, lovable character who I can really relate to,” said Smith. 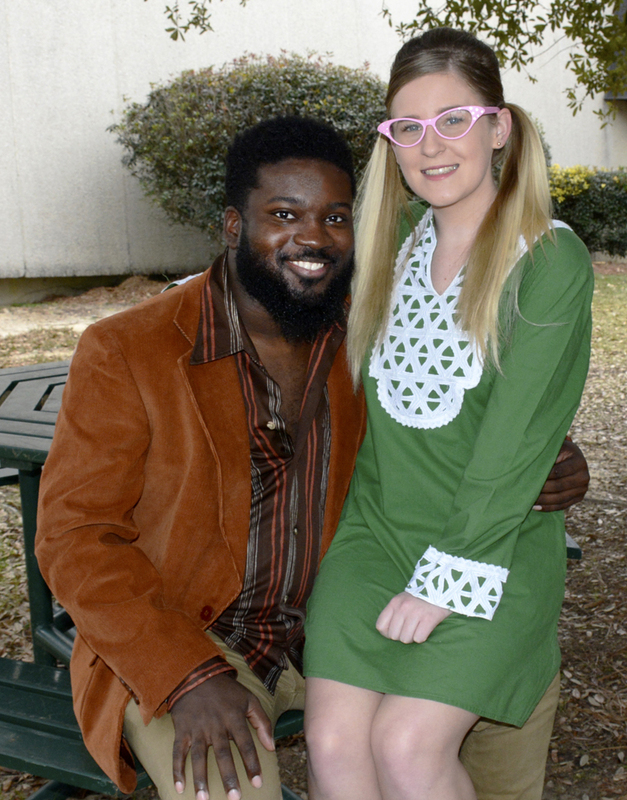 A couple of regulars on the Jones College stage, Davonzell Moncrief of Montrose and Kendra Stevison of Lucedale, have important roles in the musical. Moncrief plays Seaweed Stubbs, the African American boy who teaches Tracy some dance moves to help her reach her dream. He also begins dating Tracy’s friend, Penny Pingleton played by Stevison, which sparks a little conflict. “Seaweed, who is probably the most controversial character in this production because of his race and his relationship with the young ingénue Penny Pingleton, is very similar to me. We share many characteristics except he is a dancer and I am not! The dancing is probably the most difficult part for me but I do get to do a few splits on stage and after much practice, I am discovering I do have a few moves!” said Moncrief. Another pivotal character, Velma Von Tussle, portrayed by freshman, Lauren Hankins of Laurel, is the villainess of the musical. She is the racist producer of The Corny Collins Show and attempts to keep Tracy from integrating and dancing on the show. In addition to the many singers, dancers and musicians performing live, Bruton said many audience members often don’t realize that none of it can happen without an incredible amount of work behind the scenes. “We want our students to know that the entertainment industry is a great career path for Jones College graduates. Theatres need welders, electricians, sound engineers, costume designers, and a host of other talented people; not just actors and singers,” Bruton explained. For a look at rehearsal pictures, find the Facebook page, Jones College Musical Theatre, and the hashtag, #YouCantStoptheBobcats.